Safety and cost are a transportation director’s two most important responsibilities. So a solution like mobile video surveillance from REI on school buses offers long-term benefits that far surpass the short-term cost. A safe environment in student transportation is one that combines responsibility with accountability, and mobile video surveillance can keep drivers and aides accountable to transportation directors and fleet managers. It can also keep students accountable to administrators and parents, allowing administration to address parental concerns in a timely manner. Inside the bus, video surveillance offers footage over high back seats, something that can’t be done from a rear-view mirror. Students can benefit from the ability of video surveillance to record stop-arm violations and capture license plate information. Video surveillance footage can benefit your school district in many ways, protecting your transportation teams in the process. It goes without saying that safety is the most important part of a transportation director or superintendent’s job. But they also must find ways to reduce costs, both in the short-term and the long-term. 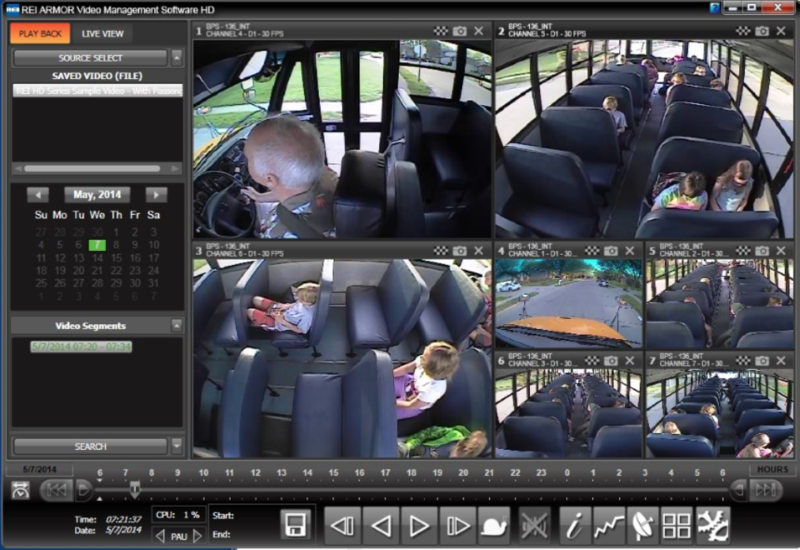 Mobile video surveillance on your school bus fleet allows you to monitor the performance of your drivers and aides and spot opportunities for improvement in their performance. Real-time location information can be immensely helpful in improving the efficiency of your drivers, and improve your training, both of which can save on costs such as equipment downtime, fuel costs and overtime cost. Well-trained employees can reduce risks, which can have long-term insurance savings. Another benefit of mobile surveillance is that it can even save on maintenance costs by identifying issues with equipment before they become costly repairs. We mentioned accountability earlier, and studies have shown that the presence of mobile video surveillance reduces vandalism. That can save further on unnecessary maintenance costs. Mobile video surveillance on buses creates an environment where drivers and students can feel safer. Parents and administrators can rest easy knowing that drivers aren’t alone in keeping an eye on things. For your custom quote, call Dave, Dan or Alicia at Kansas Truck Equipment Co., Inc.